Eevee is a Normal-type Pokémon with the ability to evolve into eight different Pokémon, depending on certain conditions; Eevee can be evolved using elemental stones, raising friendship, leveling near a Moss or Ice Rock, or by raising affection. 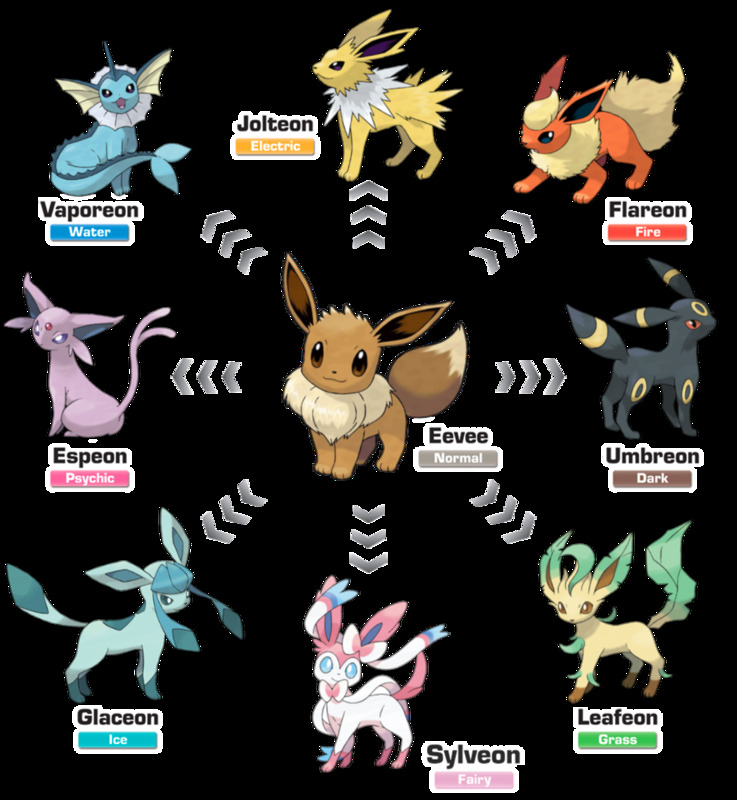 These evolutions (commonly referred to as "eeveelutions") feature different Pokémon types, including the newest Fairy-type, introduced in Pokémon X and Pokémon Y.
Eevee is so popular for its ability to evolve into eight different Pokémon types that teams have been formed based around Eeveelutions, and breeding the perfect Eevee has become a hobby for some players. Shiny Eeveelutions are especially popular (and rare); many players try to breed Shiny Eevees using the Matsuda method, wherein Shiny Pokémon are more likely to be bred from foreign Pokémon (with Ditto being a popular choice). Everyone loves Eeveelutions! Since the first generation of Pokémon, Eevee has been able to evolve into three different Pokémon through the use of elemental stones (also referred to as evolutionary stones); Fire Stones, Thunder Stones and Water Stones can all be used to evolve Eevee. 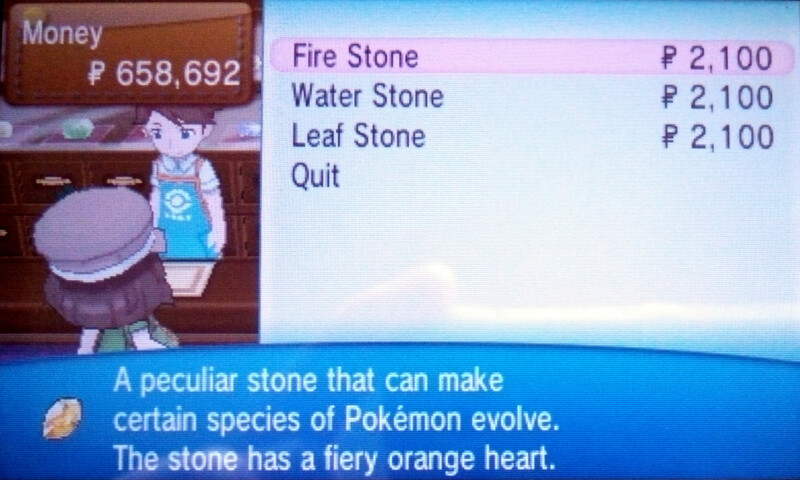 Elemental stones can be used at any time and will instantly evolve the target Pokémon. Not all Pokémon can be evolved with elemental stones, but Eevee is among the Pokémon affected by the stones. Using a Fire Stone on Eevee will evolve it into Flareon, a Fire-type Pokémon with the Flash Fire ability. 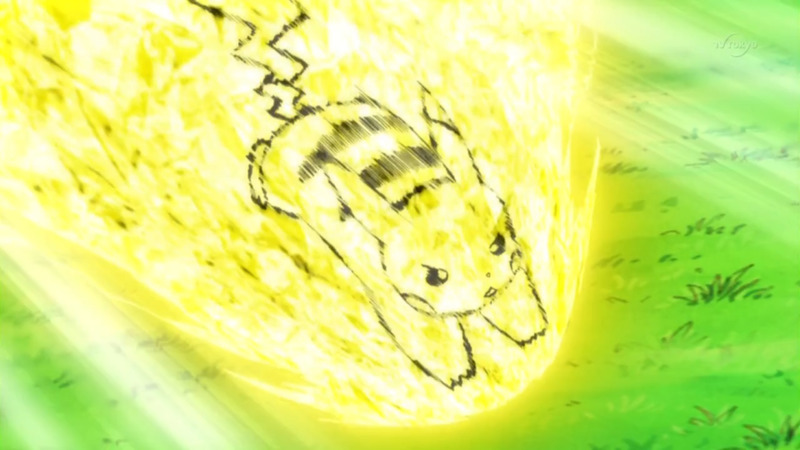 Using a Thunder Stone will evolve Eevee into Jolteon, an Electric-type Pokémon with the Volt Absorb ability. Lastly, using a Water Stone on Eevee will cause it to evolve into Vaporeon, a Water-type Pokémon with the Water Absorb ability. Once you use an elemental stone, it disappears, and once Eevee has evolved, you cannot change it back! In Generation II Pokémon, two new Eeveelutions were introduced - Espeon, the Psychic-type Pokémon, and Umbreon, the Dark-type Pokémon. 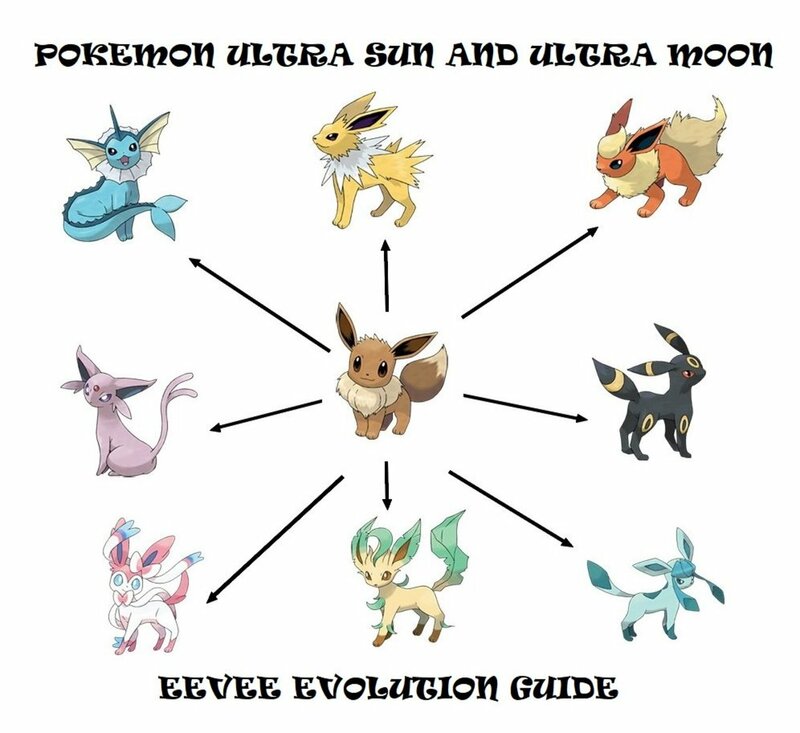 Unlike the previous Eeveelutions, Eevee can only evolve into Espeon or Umbreon with high friendship, not elemental stones; if an Eevee with high friendship levels during the day it will evolve into Espeon, while it would evolve into Umbreon if leveled at night. If Eevee is not friendly enough, it will not evolve! Friendship signifies how attached a Pokémon is to its trainer. There are several options when it comes to raising friendship; while walking with the Pokémon in your party, winning battles and leveling all raise friendship, certain items and actions raise it quicker. Friend Balls - a type of Pokeball - enables caught Pokémon to bond more quickly to their trainers. The Soothe Bell can be held by a Pokémon to raise friendship over time. Also, giving a Pokémon various vitamins not only raise stats, but friendship as well. Taking Eevee for a massage once per day will increase its friendship greatly! Generation IV introduced two new Eeveelutions unrelated to elemental stones or friendship stats; Leafeon, a Grass-type Pokémon with the Leaf Guard ability, evolves from Eevee when leveled next to a Moss Rock. Glaceon, an Ice-type Pokémon with the Snow Cloak ability, evolves from Eevee when leveled near an Ice Rock. It doesn’t matter if the Eevee has a high friendship or affection - if leveled next to one of these rocks, it will evolve into the corresponding Eeveelution. Since Leafeon and Glaceon only entered the Pokémon universe in Generation IV, Moss Rocks and Ice Rocks can only be found in the Diamond, Pearl Platinum, Black, White, Black 2, White 2, X, and Y games. Pokémon HeartGold and SoulSilver, while Generation IV games, are not included because they take place in Johto and are remodels of the older Gold and Silver games. You can always trade other players for Leafeon or Glaceon if you like! The start of Generation VI games Pokémon X and Y brought a new Eeveelution to players. Sylveon is a Fairy-type Pokémon with Cute Charm that evolves from Eevee after being leveled with at least two Affection hearts in Pokemon-Amie. Pokemon-Amie is a new game feature released with Pokémon X and Y where the player can increase their Pokémon’s Affection (up to five hearts) for bonuses in battle and more elaborate battle quotes. 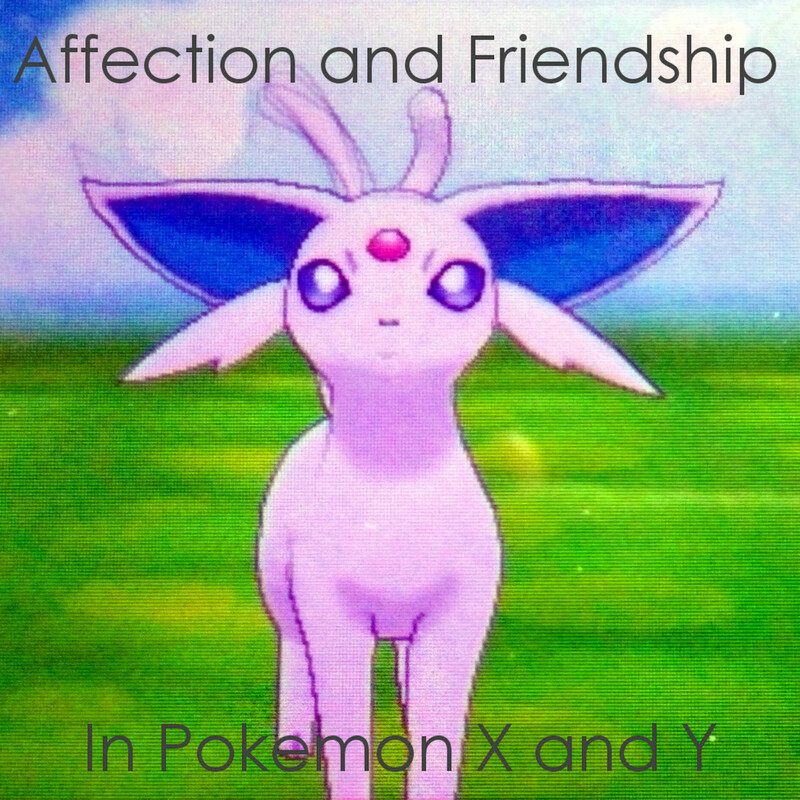 Eevee only requires two affection hearts out of five to evolve into Sylveon, as well as one fairy-type move. 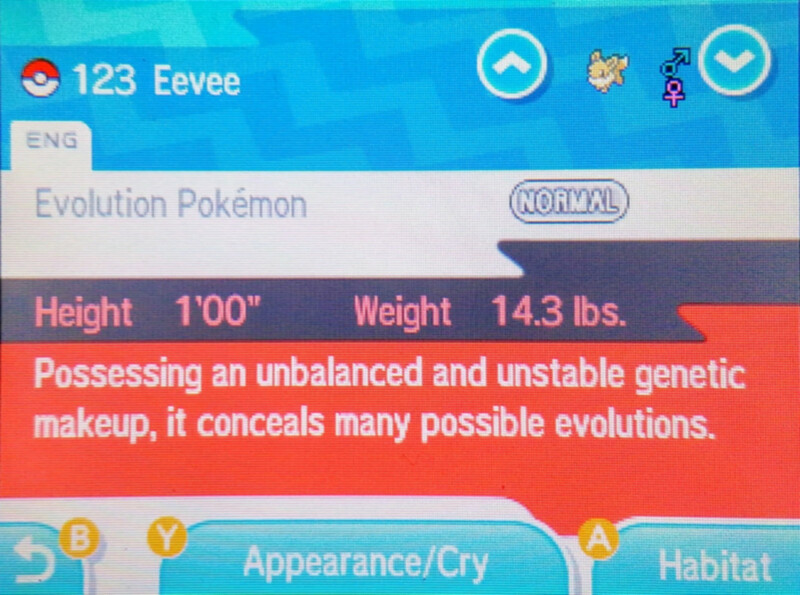 In this generation, Eevee can learn Baby-Doll Eyes at level 9, so you don't have to level it much! Who is Your Favorite Eeveelution? Pokemon-Amie consists of three methods to raise affection: Minigames, Petting, and Making Faces. By playing Berry Picker, Head It, and Tile Puzzle with a target Pokémon, players can increase their enjoyment (shown as musical notes). Petting a Pokémon in a favored spot (shown with closed, slanted eyes) also rewards enjoyment. Feeding the Pokémon Poke Puffs gained in minigames raises its fullness (shown by Poke Puff icons). Keeping both enjoyment and fullness maxed out will slowly but surely raise your Pokémon’s affection! Generation VII introduced Pokemon Refresh, a similar system to Pokemon Amie. 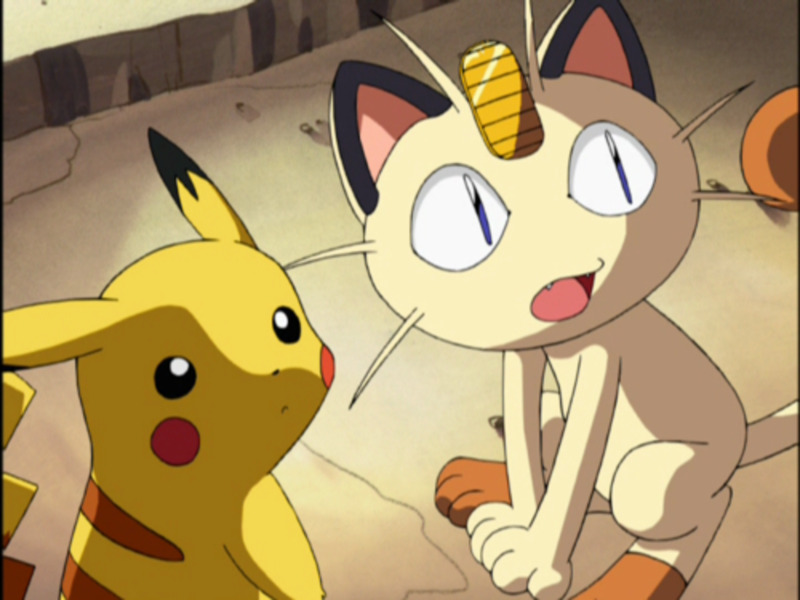 Players have the option of caring for their Pokemon after battle if they become "dirty". Players can comb Pokemon that used offensive moves, or fought a long battle. Brushing a Pokemon removes sand from attacks like Sand Attack or Bulldoze. The towel helps wipe away dirt from moves like Mud-Slap or Mud Sport. And the Dryer helps Pokemon that were wet by moves like Water Gun. There is also a Medicine Tool to cure Pokemon with a status condition. While in this window post-battle, players can pet their Pokemon, and feed them Poke Beans primarily found in Poke Pelago. Pokemon Refresh can also be accessed outside of battle, in the main menu. 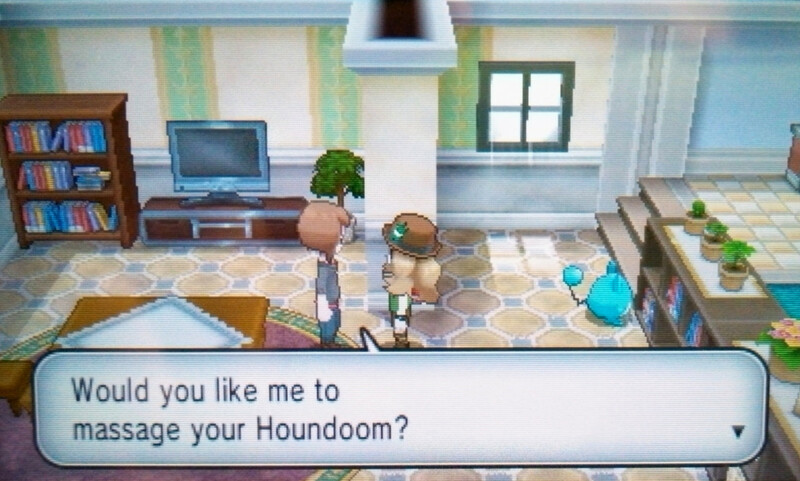 There are still five hearts for Affection levels in the Generation VII games. 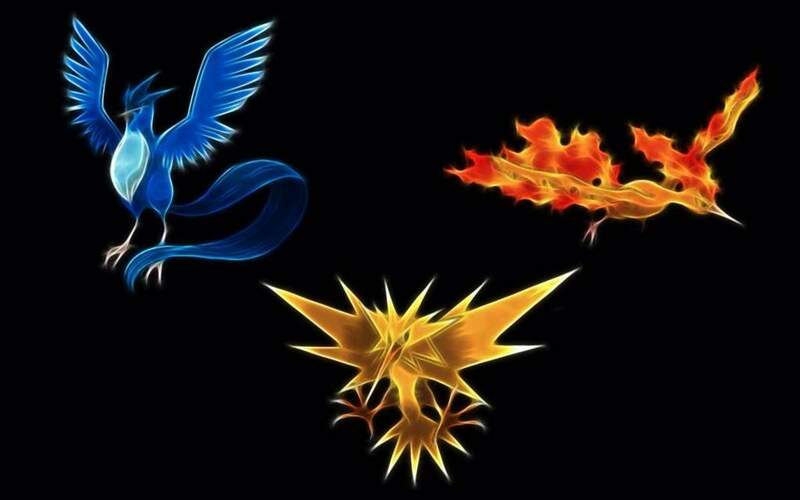 So which is your favorite Eeveelution? And which evolution do you think they will come out with next? 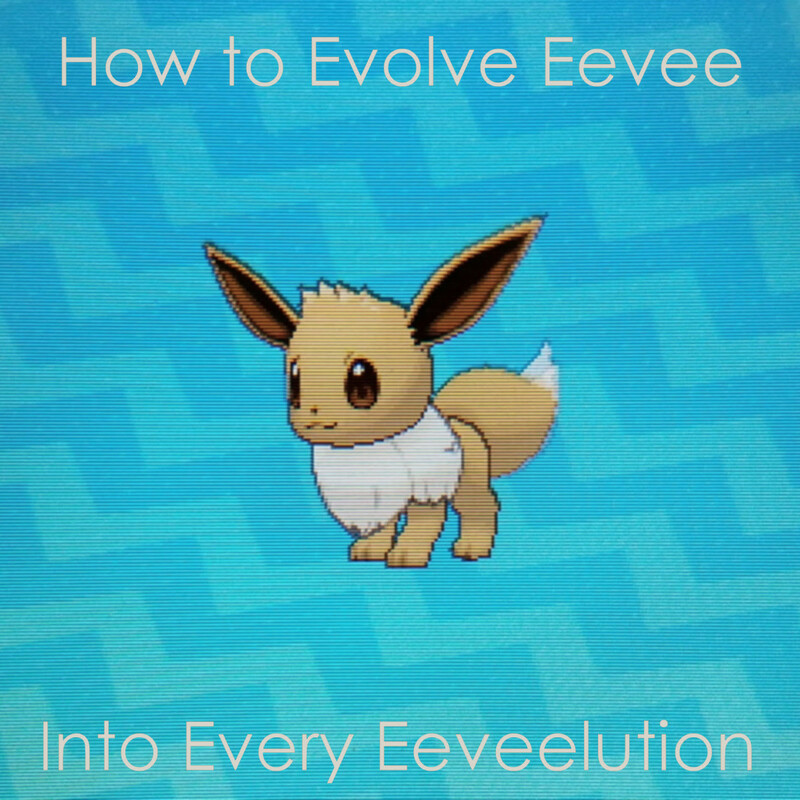 Let me know in the comment section below, along with any other questions about how to evolve your Eevee into an adorable Eeveelution! Do Espeon and Umbreon have to evolve at a certain time? Yes - Eevee can only evolve into Espeon during the day, and Umbreon at night. 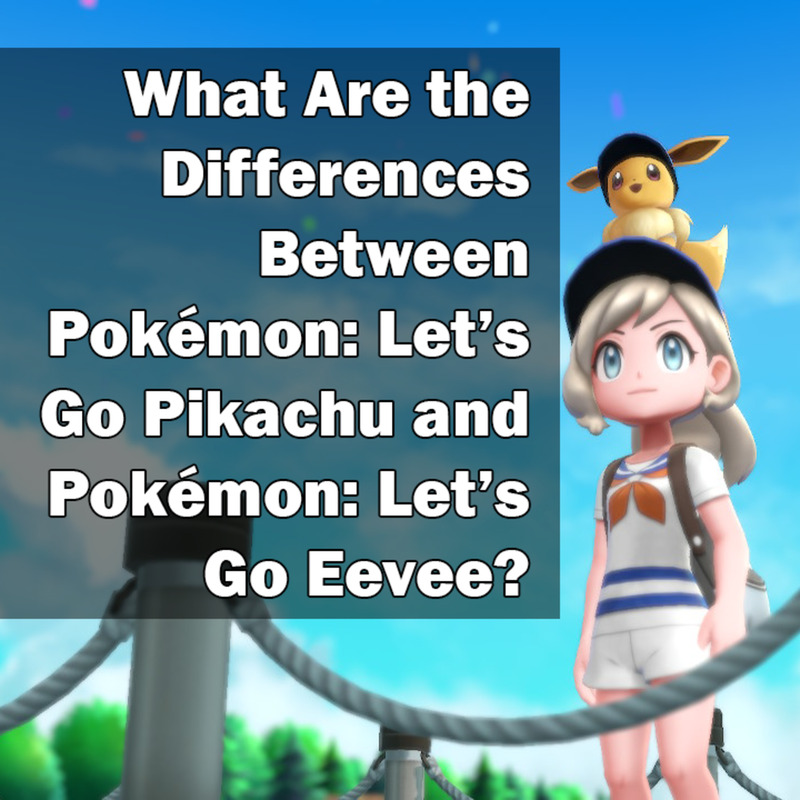 What Are the Differences Between Pokémon: Let’s Go Pikachu and Pokémon: Let’s Go Eevee? @Megan Oops, thanks for the input! To evolve into sylveon, you need to have at least one fairy type move. At level nine, you can get babydoll eyes and later you can also get charm. @Kiera You are trying to evolve it into Sylveon, I assume? If it has all five affection hearts filled, it should evolve upon leveling. If that isn't working, I can't imagine what else is wrong. 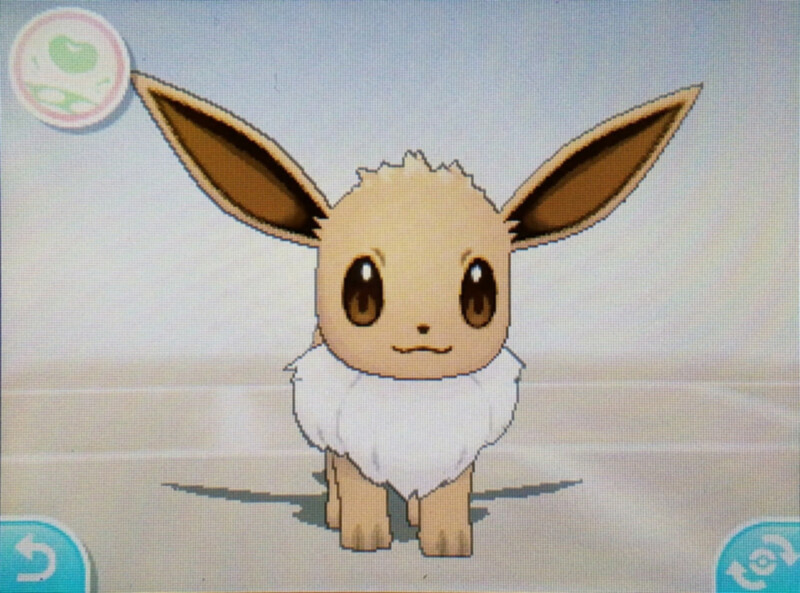 I have an eevee on Alpha Sapphire and its efection hearts are all the way up to 5. Im bean trying to figure out what else im supose to do. Please help. Yeah, I have quite a few! I always loved the Eevee evolutions, and many of the Fire Pokémon. I used to watch the show when I was younger, and haven't seen most of the new stuff.